Tropical forests reduce peak runoff during storms and release stored water during droughts, according to researchers working at the Smithsonian Tropical Research Institute in Panama. Their results lend credence to a controversial phenomenon known as the sponge effect, which is at the center of a debate about how to minimize flood damage and maximize water availability in the tropics. 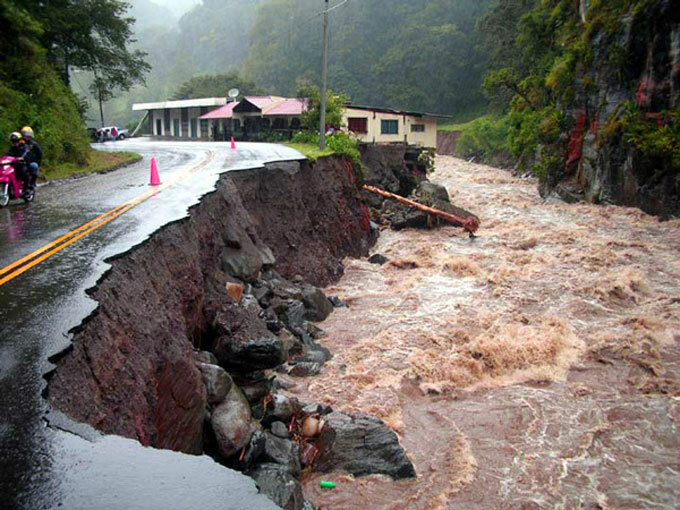 During nearly 450 tropical storms, a team of visiting scientists from the University of Wyoming measured the amount of runoff from pastureland, abandoned pastureland and forested land as part of a large-scale land-use experiment in the Panama Canal watershed initiated by STRI. “The result for storm peaks is spectacular,” said Robert Stallard, hydrologist at STRI and the United States Geological Survey who developed the statistics for data analysis. “Storm-water runoff from grazed land is much higher than from forested land. The results are clearest after big storms.” On the other hand, forests released more water than grasslands and mixed-use landscapes during the late dry season, pointing to the importance of forests in regulating water flow throughout the year in seasonal climates. Severe drought forced Panama Canal authorities to impose draft restrictions on transiting ships in 1997. In 2010, a major December storm system, examined in this study, halted shipping in the canal for 17 hours. Land use in the watershed not only affects world commerce but also water availability for Panama’s major urban areas. The study is particularly relevant to land use decisions throughout the tropics where more than 50 percent of forests are now “secondary” forests that have grown back after logging or on abandoned pastureland. The 700-hectare Panama watershed experiment, also known as Agua Salud, will run for 20 to 30 years, making it the largest ongoing study of land use in the tropics. 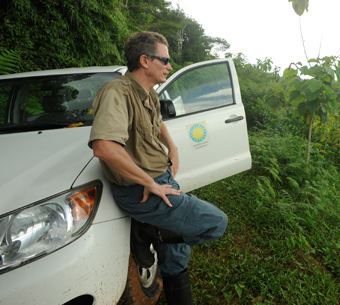 “Our project aims to clearly quantify environmental services such as water flow, carbon storage and biodiversity conservation that decision makers will consider as they evaluate projects from forest restoration to watershed management,” said Jefferson Hall, Smithsonian staff scientist and project director. 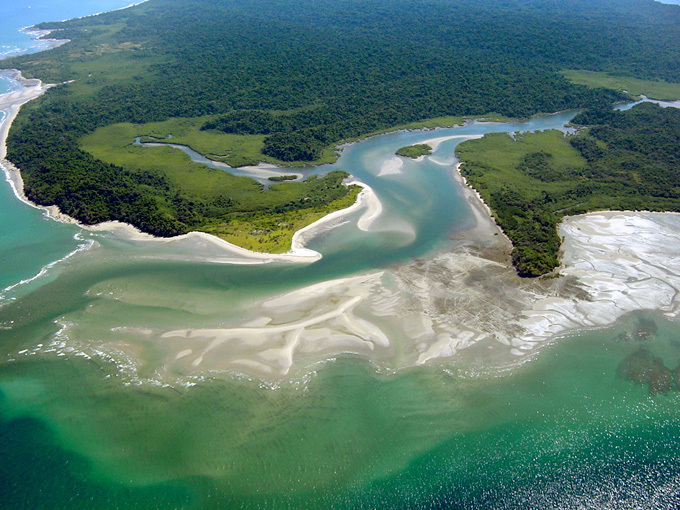 This research was supported by the Smithsonian Institution Forest Global Earth Observatory, ForestGEO; the U.S. Geological Survey, the U.S. National Science Foundation; the Panama Canal Authority; the National Environmental Authority of Panama, ANAM; the HSBC Climate Partnership; the Hoch family; Frank Levinson; the Fundación Alberto Motta and Roy and Caryl Cline. Found worldwide in tropical and subtropical seas and oceans, Dolabrifera dolabrifera is a species of sea hare, a marine gastropod mollusk in the family Aplysiidae. Researchers working at the Smithsonian in Panama discovered that the digestive gland of D. dolabrifera contains a compound active against Leishmania donovani, the parasite primarily responsible for visceral leishmaniasis, a devastating tropical disease spread by sandflies. If left untreated, this form of leishmaniasis can have a fatality rate as high as 100 percent within two years. The sea hares were collected from Pacific ocean tide pools on Panama’s Coiba Island by STRI botanist, Alicia Ibañez, and Alicia Hermosillo from the Universidad de Guadalajara. Many soft-bodied organisms such as sponges, tunicates, octocorals and sea hares, living in tropical marine ecosystems use chemical compounds to defend themselves against predators. Their publication is the first reported isolation of a compound from Dolabrifera dolabrifera with potential as a treatment for any disease. The chemical, an epidioxysterol, has been isolated from other marine organisms. The authors suggest that chemists should base new approaches to synthesizing a compound for the treatment of Leishmaniasis on the activity of this group of chemical compounds. Kathryn Clark, first author of the paper announcing the discovery, was supported by a Canadian graduate scholarship from the Natural Sciences and Engineering Research Council of Canada and a Levinson Fellowship from the Smithsonian Tropical Research Institute-McGill Neotropical Environmental Option. Often superior to citizen soldiers, mercenaries have played an important role in human conflicts since ancient times. A research team working at STRI discovered that a species of agriculturalist ants, Sericomyrmex amabilis, hosts a species of better-armed mercenary ants, Megalomyrmex symmetochus, who come to their rescue when their fungal gardens are invaded. 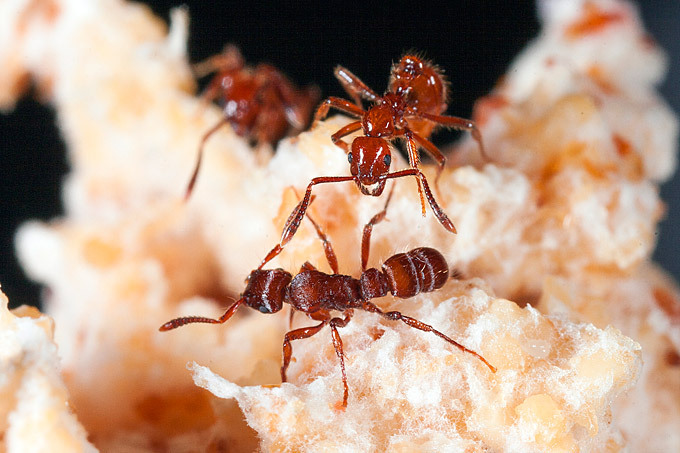 “Newly mated queens of the parasitic mercenary ants stealthily enter and establish their colonies in the gardens of the fungus-growing host ants,” said Rachelle Adams from Jacobus Boomsma’s lab at the University of Copenhagen. Adams is lead-author of the report published last week in PNAS. With co-authors from Copenhagen and from the Department of Chemistry at the Virginia Military Institute, she found that the parasitic mercenary ants use their potent chemicals called alkaloids to defend host colonies against the raiding predatory ants, Gnamptogenys hartmani. The raiders can take over Sericomyrmex fungal gardens and nests. During an attack, the mercenaries proved to be much more efficient than the host ants at killing the raiding predators. Even a moderate number of parasitic guest ants can provide protection against predatory attacks, effectively reducing host ant mortality. However, the host ants pay a high price for the help. The mercenaries hamper host colony growth by feeding on the brood–the eggs and larvae–and by clipping the wings of host virgin queens, possibly to retain them as an additional work-force rather than let them disperse. In addition, the authors show that raider ant scouts prefer to recruit to the colonies of the fungus-farming ants whose odor indicated that no mercenary ants were inside. The inspiration for this project was a direct outcome of the University of Copenhagen and STRI supported graduate course, Tropical Behavioral Ecology and Evolution, offered in 2011, 2013 and planned for 2015. Two Copenhagen students from the 2011 course are junior authors on the study. That is one of the many goals of Smart Reforestation, a multidisciplinary strategy to maximize the ecosystem services provided by secondary forests. 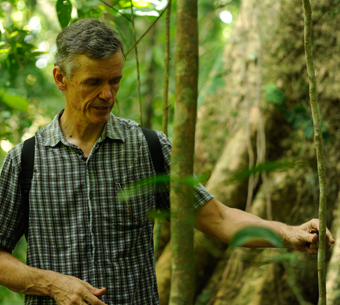 One facet of the experiment compares the carbon-capture potential of teak to native trees. Teak, originally from Southeast Asia, is so popular that the hardwood accounted for two thirds of reforestation in Panama from 1992 to 2007, according to government statistics. But Tectona grandis, when planted on infertile soils, does not always live up to its lofty scientific name. Whether planted to boost a watershed’s carbon stocks, biodiversity, water storage capacity or timber output, some foresters ask whether native tree species can perform better. One of Panama’s 2,300 tree species is Terminalia amazonia. It grows well on poor soils and is a key native tree in Hall’s Smart Reforestation studies. On experimental plots throughout the Panama Canal Watershed Project, STRI scientists plant trees in different combinations to learn how they interact with the environment and provide goods and services. While the experiment emphasizes native species the project includes a large plot of teak. “The idea is to get the best teak plantation possible,” says Hall, describing an intensive program of fertilization and clearing invasive grasses. Six years into the experiment, the teak plantation is proving a valuable yardstick to measure the relative success of the project’s native species plots. Terminalia appears to outperform teak in various categories. It grows better with no artificial fertilizer required. As a native to Panama, Terminalia – in combination with other native species – fosters local biodiversity in a way that teak may not. Moreover, Terminalia is also valuable as timber. The Smithsonian Tropical Research Institute (STRI) reports excellent news for nature lovers who enjoy scuba and snorkeling in the warm Caribbean waters of Bocas del Toro. According to STRI scientist emeritus, Nancy Knowlton, the recent coral spawning she witnessed was the best she had ever seen. “It was spectacular,” she said. For almost two decades, Dr. Knowlton, who holds the Sant Chair for Marine Science at the Smithsonian Museum of Natural History, has been visiting Panama to witness corals reproduce. She reports that the recent “intense spawning,” an annual reproductive event, brightens the corals´ future with hope. sted for tens of millions of years. Their global seafloor coverage is equal to the area of Texas and yet hosts 25% of marine life. One third of coral species are at risk of extinction and hard-hit Caribbean corals have declined by 80% over three decades. 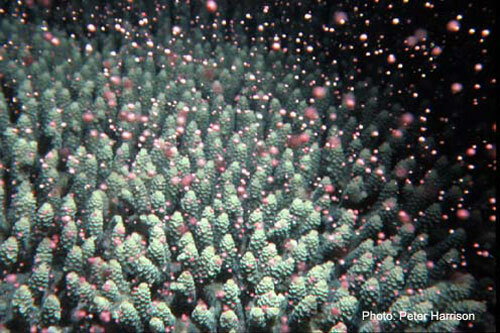 “It´s good news that the corals are still reproducing,” said Dr. Knowlton excitedly. She has since 1974 labored with STRI on the subject of coral. “A lot of eggs were fertilized for sure,” she reported. 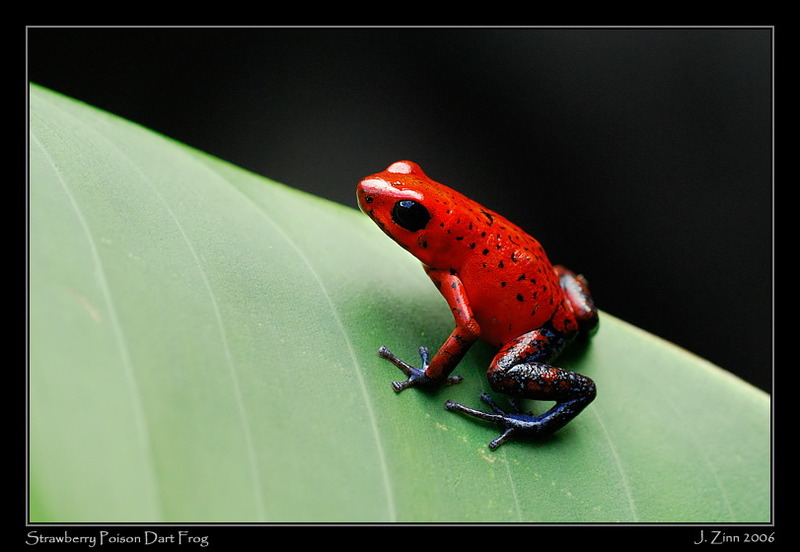 One of the greatest puzzles of evolutionary biology is the color variation of the strawberry poison-dart frog on the Bocas del Toro Archipelago. Generally a shiny reddish-orange throughout its mainland Central American territory, Dendrobates pumiliocomes in as many as 30 color combinations on the Panamanian Caribbean island chain. Rising seas separated the archipelago from the mainland less than 9,000 years ago – a blip in evolutionary terms. How did such an array arise so quickly? Given that environmental conditions do not seem to vary greatly between population locations, natural selection might play second fiddle to sexual selection in the D. pumilio riddle. To test that theory, Ph.D. student and STRI fellow Laura Crothers is studying how the frogs – males and females – respond to brightness and color variation. More fiercely territorial than their size would suggest, the diminutive males regularly pick fights. Yet instead of taking on dimmer competitors – which, in theory, should be easier targets – they appear to attack the more brightly colored ones. Energy spent calling to or wrestling with other males is energy not spent reproducing. So if dimmer and different-colored males fought less once isolated from the mainland, this could help explain the early in the divergence of color in these populations. For example, if most of the frogs in a population are orange, other males could ignore an unusual blue individual. “That would allow those really rare blue ones to increase slowly in that population because they are not getting beat up all the time,” says Laura. “They can focus all of their time on courting females.